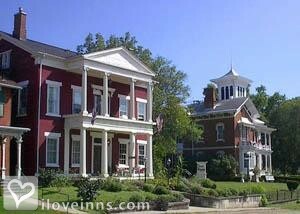 Rockford bed and breakfast travel guide for romantic, historic and adventure b&b's. 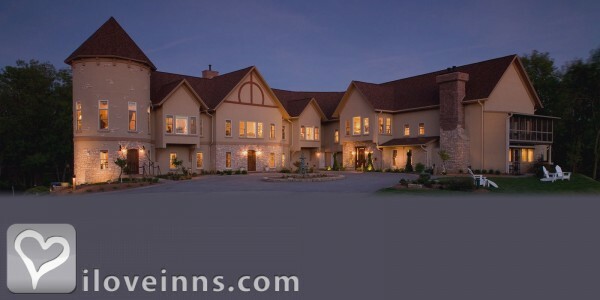 Browse through the iLoveInns.com database of Rockford, Illinois bed and breakfasts and country inns to find detailed listings that include room rates, special deals and area activities. You can click on the 'check rates and availability' button to contact the innkeeper. In Illinois' Rockford Region, you are right smack dab in the middle of America. Sweet corn and watermelon are spiced with Italian and Swedish heritage. Rockford bed and breakfasts have the advantage of being located in the second largest metro area in the State and the first most friendly. Tourism interests include City of Gardens, Region of Four Rivers, and Smile Capital USA. You'll find gourmet dining at local cafes and music theater under the stars. Find hidden hiking trails in a State Park or lazy catfishing from a riverbank. And, if you're into golf, be sure to save time for a game at the award-winning golf courses. Rockford, IL offers a country feel and big city attractions. From Anderson Japanese Gardens to Rockford Motor Speedway, from Magic Waters Water Park to some of the best antiques shopping around, there's something wonderful for everyone. Did we mention over 300 choices for dining out? Your favorite fast food to white tablecloth gourmet restaurant and everything in between is available. Simply ask your Rockford, IL bed and breakfast innkeeper for help with choosing your dining options. You'll find gourmet dining at local cafes, museums, an arboetum, and a Japanese garden, music theater under the stars, indoor & outdoor water parks, hidden hiking trails or lazy catfishing from a riverbank. In Illinois' Rockford region, you are right smack dab in the middle of America. Sweet corn and watermelon spiced with Italian and Swedish heritage make for an interesting and fun heartland experience. It's the second largest mero area in the State and the first most friendly. Tourism tags include City of Gardens, Region of Four Rivers, and Smile Capital USA. You'll find gourmet dining at local cafes and music theater under the stars. Find hidden hiking trails in a State Park or lazy catfishing from a riverbank. And, if you're into golf, be sure to save time for a game at the award-winning golf courses. In Illinois' Rockford Region, you are right smack dab in the middle of America. Sweet corn and watermelon spiced with Italian and Swedish history...gourmet dining at local cafes or music theater under the stars...hiking the State Park or fishing along the riverbank...even swing your club at award-winning golf courses. Also known as City of Gardens, a Region of Four Rivers, and Smile Capital of the USA.